I absolutely love your products. 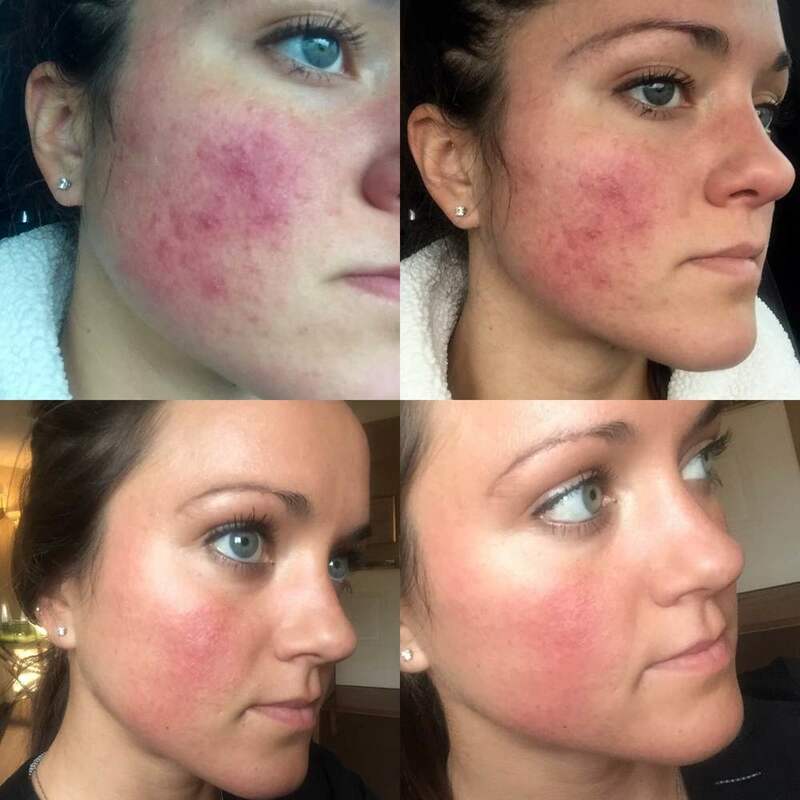 I suffer from rosacea and I am trying to heal it! I am telling everyone about your products and how I can already see a difference. I love that you use such high quality ingredients and hope I can keep my skin healthy and continue to see a difference. Thank you! I just want to say how impressed I am with you products and their ingredients and I have used high end natural skincare from other brands but yours is such a delight in smell, texture and results! Please never stop doing what you are doing! Love your products! - Maria K.
You have great customer service. Your skin products are the best in the world! In the past I have used other wonderful, high-end lines. Your skin products are in a class by themselves. I noticed a difference in my skin the first time I used your products. I am so happy that I discovered you and your beautiful company. - Laurie H.
I hope the universe is showering you with abundance. Just to update you, these two products have been just goddess-sent in helping me with my scarring, inflammation and overall heath of my face. Though I try to practice a very holistic lifestyle, sometimes the healing process can cause crisis on my face and it can be a little uncomfortable. Bravo to your new additions and you are truly gifted. . .Your creations are the best ever and I could tell so much labor and love are put into them! I love them! Thank you! - Wendy C.
I am such a believer in the benefits and healing properties of your products! Thank you for everything! - Melissa M.
I love using the products. I simply love the way ALL of them smell and feel! - Karen B.
I love all the products that I have tried! I had this horrible allergic reaction from using a product and using your supernatural skin food and dream cream it cleared up in two days! It was incredible! I am also trying your bee beauty facial oil and I love it! I honestly cannot wait to try more of your products. You have some beautiful and life changing products! I will honestly be a lifetime customer! - Anna B.
I cannot express how happy I am to have discovered Elaa!!! Your living loving organic skincare products are amazing :-). What a radiant alive transforming feeling everyday! Thank you Elaa for this. Thank you and Blessings - Dawn K.
I spent last evening in a deep Elaa trance, indulging in an exploratory ritual with each product...They are absolutely exquisite, I am head over heels. These are probably the highest quality organic products I have ever tried. And I love love love the body oil scent, you did a fantastic job :) All of the products smell fantastic actually. I am going through kind of a rough emotional time these days, and their earthy, warm aromas provide great comfort. I am so excited to embark on the Elaa journey and am really looking forward to the glowing skin and pearly whites that await. Thank you again and congratulations on this superb, luminous line! - Juliet H.
Wow, just wow! Your products are officially my saving grace! I received my order last night, and I am so pleased! Every product had the most wonderful, clean, earthy smell that I knew my skin would love. Not only did they smell amazing, they made my skin feel like heaven! None of the products irritated or itched my skin, and I woke up with no breakouts (which is my usual reaction). Hallelujah. It really shows how much thought and care you put into your creations. I am very excited. Thank you thank you thank you! - Kaylin H.
I hope this speaks of the magic of your craft. Its intent is pure and unwavering. I would like you to know that you hold a very special place in my life. Elaa is a wondrous creation, and such an elevated site. I congratulate you and celebrate you. I will continue to buy your loving offerings whenever I am able. They hold softness and a special light within them for me, it must add to why they work so lovely. Thank you, beautiful human being. Your integrity is uplifting. - Perica C.
Wow! Today is the first day I've used your Clarity Elixir, and I am in LOVE. I woke up this morning with GLOWING skin that wasn't itchy, red, or broken out!! My mum just said I was glowing and my skin looked fabulous, and what was different! I can't believe the difference a day of proper moisture and healing goodness made. I'd just gotten back from a trip, and stayed in a major city, which usually means my skin is very unhappy when I get home (too much pollution). This is just unreal! I love the Magical healing balm too...my feet were covered with itchy allergic bumps (similar to excema), and they are SO much less burning/itchy today. I am in love with ELAA! I feel so safe with the ingredients and the quality! Thank you thank you for creating these beautiful products. Much love, Nicole B.
Bravo to your new additions and you are truly gifted and I am sure this was not a small feat- tweaking and perfecting! Your creations are the best ever and I could tell so much labor and love are put into them! I love them! Thank you! - Wendy C.
I love using the products I purchased as well as the beautiful samples you sent. And I love the fragrance and feel of the superfood dream cream. I simply love the way ALL of them smell and feel! - Karen B. Your products are very special and "real." I will be experimenting with the products my Mom purchased (she LOVES them btw!) - which is great feedback because she is 66 and has tried every expensive spa line you can think of, and is VERY picky! - Stephanie B. Your products are absolutely delightful to the senses! -Terry P.
Elaa products are food for your skin. As long as you keep feeding your skin with nutritious food like Elaa skin care, your skin will be healthy, strong, and glowing - Ella N.
Thank you again for your wonderful products; the love, care and energy you put into them really shows. -Jessica G.